With union government shifting its focus more and more on the Northeast India as part of its Act East policy, job aspirants can now explore job opportunities in Northeast with the market wide open. Since Assam is the largest state in the region, the career market in Assam is getting bigger and bigger every day. Almost all the leading companies are now opening branches in Guwahati, and creating more job opportunities for the Assam career aspirants. The region has witnessed a paradigm shift of Assam Career markets from a narrow to a wide one. In the private sector more and more players are keen to invest in the region and some companies have already signed MoU with the government in this regard. The corporate houses are showing more interest in Assam primarily because of the added financial incentives to set up industrial units. As a result, the Assam Career market has grown now and is getting bigger day by day. It is evident that Assam, and especially Guwahati is soon to emerge as the new business hub of the east. When the region grows as a business hub, it is natural that the career opportunities in Assam are going to be the biggest in eastern India in the years to come. When we speak about job opportunities, we basically refer to two types of jobs — government and private sectors. Getting a government job is one of the biggest achievements for any Assam Career aspirant. After all, government job means stability in life. But getting government job is not easy in Assam. The most lucrative government jobs in Assam are ACS and the APS. Candidates have to go through various rigorous tests and interviews before getting into a government job. Government recruitment process is usually based on written test and interview or skill test. So the Assam Career aspirants have to prepare for such government jobs with long-term goal, proper strategy and approach to crack the tests. There are several institutions in Assam which imparts regular coaching to qualify such government jobs. In the government sector these days, jobs of TET teachers are very popular among the Assam Career seekers in Guwahati. Teacher Eligibility Test is the minimum criteria to become a teacher in Assam schools. 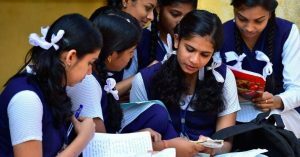 The Centre holds CTET whereas the state governments hold TET to recruit government teachers. Assam has witnessed recruitment of several thousands of TET passed teachers over the last couple of years. Guwahati is considered as the gateway to Northeast. The capital city offers lot of scopes for career aspirants in the private sectors in Assam. Last year, under the North East BPO Promotion Scheme, 1,630 seats have been allocated to 11 companies across five states. Seven units have started operations on 900 seats, employing 723 Assam Career aspirants. Some of the locations include Guwahati, Jorhat, Kohima, and Imphal among others. So BPO jobs are very popular in Guwahati and other towns of Assam and the Northeast. Of late, Guwahati has witnessed a boom in the service sectors. Various star categories hotels have come up in the capital city providing lucrative career to the boys and girls. Besides hotels, many chains of renowned restaurants have also come up in Guwahati, thus providing career opportunities to the job seekers in Assam. With the growth of the real estate sector in Guwahati, opportunities are galore for Assam Career seekers to get employed in this sector as well. 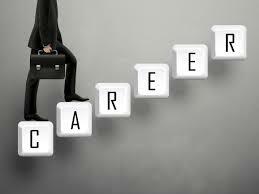 There are many other areas where one can excel and choose one of those as a career option. For example art, music, dance, sports and so on. Shaping a career requires lots of practices. As the adage goes practice makes man perfect so to achieve the target one should practice a lot. How to get a job in Guwahati? As said earlier, lots of practice and staying focused are some of the key factors of getting jobs. Guwahati, being the largest city in the Northeast, has a lot to offer as career options in Assam. Since this is an era of digital media, one has to search through the internet to keep track of the Assam career opportunities in this city. Now-a-days private companies, PSUs and even the government organizations advertise for filling up various posts through web portals. Sometimes online applications are also sought to apply for jobs. So it is very important for Assam career aspirants to keep update and track of job opportunities through smart-phones and their desktops. Many organizations also deploy various recruitment agencies to hire people. But one should be very careful before choosing a recruitment agency many of whom charge fees from the Assam career aspirants for that. As the market has started to widen up, Assam Career aspirants should stay focused and keep themselves up to date to get a job. There is always rat race for every job, and the best candidate is picked up by the recruiters. The biggest challenge for Assam career aspirants is to emerge as the best candidate among many. While strong networking helps the career aspirants in Assam to find jobs, every aspirant should prepare a long list of their contacts, and start meeting them or contacting them on a regular interval. Set a goal to touch base with at least 10 people you know every week. Connecting with the alumni is another way to find jobs quickly in Assam. Generally, alumni from same educational institute share a lot of common values and interests. The commonness continues to drag each other closer despite the batches. Establishing contacts with at least three new alumni per week will always help the Assam career aspirants to widen their network and find new doors opening for jobs. Assam career aspirants should always ensure that their resume is always updated, and ensure that they post them on important job boards. The job seekers in Assam should ensure that their resume has a well-dressed title, and a smart introduction. As first impression is the best impression, it can help the Assam career aspirants to get a job quickly. When it comes to job hunting, Assam career aspirants should understand that your CV is always an overriding factor. Writing Smart CV is an art, and you will learn it over the years. Otherwise, you may face rejection after rejection. And, it may be frustrating. As your appearance is important, Assam career aspirants should understand that an ordinary CV won’t impress anyone. Every CV is different. As you need to portray your skills to the employer, you will have to draft it in such a way that it attracts the interviewer. Assam career aspirants can draw inspiration from several websites available online that guides you to write a great CV. Most of the professional websites have group of specialists who design the best CVs. First and foremost thing the Assam career aspirants should remember that your CV should look clean, elegant and smart. It should not be too long. Getting ready for interview is a very important aspect which the Assam career aspirants should take into account while looking for jobs. They should not try to pretend that they know everything on the subject. The interviewer definitely has more knowledge on the subject, and will be able to understand immediately if the candidate tries to portray himself or herself dishonestly. Dressing up properly for the interview is very important. Assam career aspirants should avoid wearing a party wear. They should dress smartly and neatly, and girls should avoid wearing jewellery. Wearing formals is always suitable for both male and female job seekers while appearing an interview. Assam career aspirants should always try to maintain direct eye contact with the interviewer. They should not look around the interview room while replying to questions as it would mean showing signs of nervousness. Moreover, body language is also an important aspect, which Assam career aspirants should take into account while facing interview. Candidates should sit straight and should not shake legs or tap hands while facing the interview. Answering smartly is the key to success in all interviews. Assam career aspirants should try to stand out with answers to all interview questions. Job seekers, before every interview, should review the job description, and map out the probable questions. “Tell us about your-self” is the most common opening question in every interview across the globe, and is also common in Assam. Actually, it is not even a question, and is an invitation to open up. The interviewers try to gauge the job seeker with the opening invitation. And, every job seeker should try to make the best use of the opening invitation and make the best use of the opportunity to distinguish themselves from other candidates. The second probable question which most Assam career aspirants may face is – Where do you see yourself in five years? The employers won’t like to hear from you to climb the corporate ladder too quickly and be a supervisor. The answer to the question will depend more on what level the job position is for. Group Discussions have now become an integral part of the interview process. So, Assam career aspirants should prepare themselves well in advance to face group discussions. Your performance in a group discussion will depend on various factors: communication skills, knowledge on the subject and capability to outshine others and lead the discussion. The candidate has to talk effectively so that he or she is able to convince others. Drawing attention of the audience or the recruiters is important in Group Discussions. The Assam Career aspirant will have to be precise and clear about the subject. Irrelevant talks must be avoided. Inculcate the good habit of structuring your thoughts and presenting them logically. Confidence and coolness while presenting your viewpoint are important. Avoid repetition, and do not be superfluous. Try to be specific and do not exaggerate facts. Moreover, the career aspirants should understand that Group discussions are not debating forum. Assam career aspirants should understand that your behaviour in the group is important to judge whether you are a loner or can work in a group. The basic aim of a group discussion is to judge a candidate’s leadership qualities. It has been found that a lot of career aspirants in Assam do not have good knowledge about their own state. It becomes embarrassing when Assam career aspirants don’t know the answers of questions asked at the time of interviews about their own state. Recently, one candidate from Nalbari could not reply a simple question – When was Assam first created as a state? It was embarrassing for the career aspirant from Assam. But, how many of us know the answer? All of us should know that in 1874, the Assam region was separated from the Bengal Presidency, and was upgraded to a Chief Commissioner’s Province of Assam. The capital was at Shillong. It is also natural for the interviewers to ask questions to the Assam career aspirants about their own states. So, they should start working on widening the knowledge on Assam well in advance. It is impossible for someone to gather total knowledge on Assam overnight. So, a systematic approach should be adopted to widen the knowledge on Assam. Sometimes, Assam career aspirants may find themselves in a situation that they suddenly have two or more job offers in hand. At that juncture, it becomes difficult to decide – which job to join and which one to leave. Right decision at the right time is crucial for career growth. Most of the job seekers take opinion of the mentors and professional friends before taking the final decision. But, there should be more professional approach in taking such crucial decisions. In addition to the traditional guidance, the Assam career aspirant should follow a professional system, which will make him or her more professionally mature to take such crucial decisions in future. First, they should do a proper comparative analysis of both the companies – which company is in a phase of rapid growth and what could be its future growth prospects? Second, the Assam career aspirants should find about the social values of the job-offering company, or how do its ex-employees rate it as a workplace and what is the level of satisfaction of the employees? Third, how good is the company in looking after the welfare of the employees? Fourth, what is the reputation of the company in the market? Lastly, knowing the immediate boss will be very important before lapping up a new job. If the boss is not good, life can be extremely difficult for the team members.